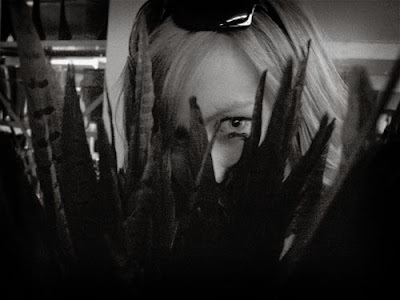 The day after I flew to Seattle, it was "Wedding Whirlwind" Thursday. I actually live in central Washington, 3 hours from any type of civilization, and so whenever I do wedding things I have to stuff them all into one trip. In one day we bought the reception/ceremony decor, did some antiquing and found a necessary guestbook component, had our tasting at Hotel 1000, found the bakeries for both our convention and gluten/dairy/egg free cakes, and visited Paper Source. I was almost too tired to do some guest list revising on the way drive like I had planned. My MOH Shay brought along her camera because she knew I would want all of our adventures photo documented for blogging. We dressed alike and had an impromptu photo shoot to start the day. 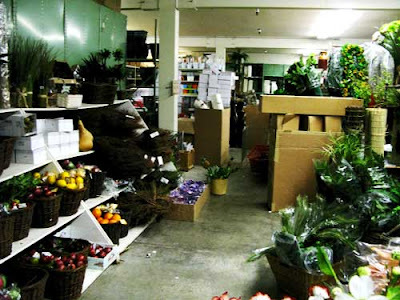 We mapped out several different wholesale warehouses that we wanted to visit, but we ended up only visiting Northwest Wholesale Florists because it had everything we wanted. Apparently my mom is a card carrying member of the wholesale floral club, which allowed us to get stuff at unbelievable prices. I will warn you though, if you decide you want to handle all of the reception decor yourself, and you figure out how to get it all wholesale, the experience can be a little overwhelming at first. You walk in and at first all you can see (and smell) is the flowers. They are so organized and pretty, and MOH Shay and I had so much fun walking up and down the rows inventing bouquets for ourselves. I took a few notes to remind myself what flowers I liked most. We walked back a little bit farther into the warehouse, and that was when reality struck. The place looked like a jumbled mess to me, and I wanted to run back towards the entrance and bury my face in the pretty flowers and relax. Let's finish up this post with a lesson. As the MOH is demonstrating below, just because an item comes in your wedding colors, it doesn't mean you HAVE to have it. Anyone else forgeoing the florist completely and using a wholesale warehouse to design their decor? NO. I would rather pay someone to do it for me. I can handle some projects for my wedding but not all and flowers are not my thing. I would rather bust out a grand for flowers than do it for less and have stress. We did all of the flowers ourselves (mom and I) and it turned out beautifully. We bought all silk flowers from Hobby Lobby for half off (they have them half off ALL.THE.TIME.) The ones we picked out were gorgeous and didn't look fake-y at all, and I wanted to take my time with them and have them all done beforehand, so silk was a good option for us. The only stress I ran into was putting the bouquets together myself. I had this "vision" and thought they would be so easy to throw together (hand-tied), but it was tough. Life got easier when I did them in smaller sections and bound them with masking tape, then put all the sections together with masking tape, covered with floral tape, then wrapped with ribbon. They were so awesome and I got to do exactly what I wanted. No surprises with the florist showing up with something I didn't order or not enough of something or whatever. I liked the security of it. For 35 centerpieces, my bouquet, 7 bridesmaid bouquets, and 5 "arrangements", all the flowers and supplies were under $500. we're doing the flowers ourselves. forget the florist! my mom is a wholesale card carrier too, so we're good to go! I went to the flower district in downtown LA. 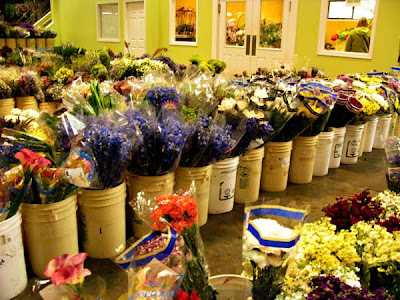 The beautiful thing there is that many of the wholesalers will put together and deliver your wedding flowers for you, so you get the best of both worlds! You guys are going to have such a unique arrangement and I cannot wait to see what you come up with! That looks like so much fun, but definite craziness! we didn't do it completely, but we did about 10 arrangements at the chapel and on the candy buffet using wholesale flowers. those were the ones we got the most compliments on, too. I love the flower warehouse!! I bet it was fun, albeit a little overwhelming for sure. 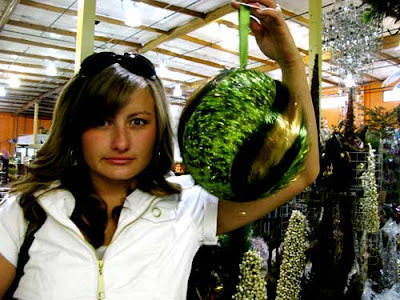 LOL about the floral flower/feather ball thing.... yuck! By the way, I'm thinking of incorporating quail/pheasant feathers into my wedding too! elizabeth-You are making dollar signs dance in my head. I can't imagine what I could do with all the money I would save by going the route you did with centerpieces!